May 14, 2008. This paper was written to introduce the Policy Seminar on Public Mapping Data of the Institute of Urban Information. Attitudes to the use and availability of publicly owned information have shifted significantly in recent years, partly due to technological advances, and partly to political commitments to make such information freely available. It is a trend that is mirrored throughout the democratic world; in some respects, the United Kingdom lags behind the United States and European Union partners in the process of liberalisation. With freedom of information come complications about security, liberty and data protection. The story of the last decade has been one of balancing competing objectives to achieve the optimum public benefit. In this debate, publicly owned mapping data, or geographical information, has been treated as an exception. 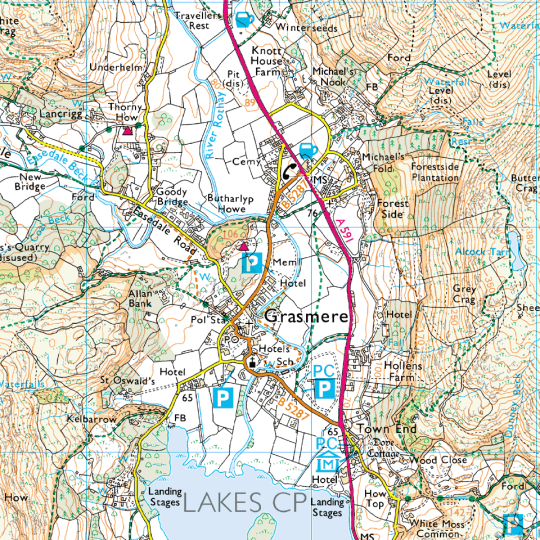 Operating as a Government Trading Fund, the UK’s national mapping agency, the Ordnance Survey, is obliged to charge users of its raw mapping data and other, value-added services, sufficient fees or royalties in respect of its “Crown Copyright” to recover the agency’s operational cost – and in fact it has consistently returned a profit to the public purse in recent years. The EU’s 2007 Directive on spatial information, initially drafted to impose a marginal cost model for geospatial data, instead agreed that the cost recovery model should be permitted to continue, accepting the argument that the quality and coverage of data would otherwise degrade. It is a significant point. If OS source data is made freely available (or at the cost of digital transmission only), how do we ensure that the quality and integrity of our national mapping data is maintained and funded? Persistent questions have nevertheless been raised about the policy, both strategically and as regards its practical impact. The Treasury’s 2000 Cross-Cutting Review of the Knowledge Economy, while describing the argument for marginal cost pricing as “weakest” in the trading funds, questioned whether “the way the government prices its information (creates) a barrier to its commercial re-use.” The Review called for further work to be undertaken on the economics of information pricing to develop the evidence base and inform policy decisions. In 2006, the competition and free market issues were addressed by the Office of Fair Trading in stark terms. Noting that attempts by regulators and others to influence the Ordnance Survey had “met with resistance”, it drew attention to the “nature and seriousness of … problems experienced by re-users” (of OS data), citing the operation of the licensing policy including restrictions on re-use; concerns about OS limiting access to unrefined data while itself concentrating on value-added data; failing to separate its upstream and downstream operations; and reserving powers to terminate usage rights in many circumstances. The OFT concluded it was “essential” that these issues “be resolved without delay”. The government in its response noted and welcomed that “constructive engagement” had been enjoined and was continuing between the OS and OFT on the questions raised. On the ground, the barriers encountered as a result of the licensing arrangements are by no means restricted to “commercial” users. Public and quasi-public service providers from local authorities to business improvement districts are inhibited from providing joined-up information about their area for a host of reasons including minimum licence fees and area restrictions on permitted use. While there is as yet no doubt that the Ordnance Survey is the best quality available source of underlying geographical information in the UK, there are numerous examples of projects in the public and private sectors being deferred or cancelled due to OS licensing costs or complications ­— and many instances more where alternatives to OS have been used or are being seriously considered. And those alternatives are becoming increasingly viable. Navteq, OpenStreetMap, Microsoft aerial photography, TeleAtlas/Google Maps, Maptube and mashing: at the level of fine grain detail none as yet stack up against OS — indeed, some are platforms that continue to rely on OS source data — but there is no denying that the industry is fast-developing, nor that significant global players regard it as a key driver of economic activity, worthy of substantial investment. The Ordnance Survey calculates that it underpins not less than £100 billion a year of economic activity, so what’s to worry? Well, some upcoming and, perhaps, ideological mashers regard it as obsolete already, a dinosaur whose efforts at engaging with the developer community are too slow and cumbersome to save it from extinction. Those views are at the very least premature, but many believe there’s little room for complacency. The political, social and economic freedom of information debate has continued on several fronts. In February 2007, Cabinet Office Minister Hilary Armstrong commissioned Ed Mayo, the Chief Executive of the National Consumer Council, and Tom Steinberg, the director of MySociety, to write an independent review that was published in June. Complaining that Mayo and Steinberg could have painted a more positive picture of its progress to date, the government nonetheless broadly welcomed their contribution. Accepting the “non-commercial” liberalisation proposals (and OS itself has responded by opening its Open Space project to non-commercial development) – it was more circumspect in its response regarding the trading funds, agreeing the need for an economic review and saying that decisions about marginal cost pricing could only take place in light of the outcome. Applying this back to Mayo/Steinberg, the business case for applying marginal cost pricing to these two data categories – which currently account for £70m of Ordnance Survey’s annual income – appears well made. Combining it with simultaneous simplification of the licensing arrangements, and with the growing sophistication of map-based urban information systems, these reforms could create a new climate in which the public benefits may easily outstrip those envisaged by Newbery. Proving benefit to society does not, however, answer the question of how the reform would be funded, nor guarantee the ongoing quality and integrity of the data Ordnance Survey provides. Newbery’s £12m cost calculation includes the benefits of increased tax revenues, and it reckons the annual subsidy required to achieve this would actually be around £85m. There is a sense in which attitudes towards the availability of public mapping data in general, and towards Ordnance Survey in particular, have become entrenched. If the long-term brand values of OS are world-class quality and expertise, rooted in the culture and daily experience of boy scouts, cadets, orienteers, ramblers and planners, its image amongst some of its most important wholesale users is characterised as inflexible, monopolistic, legalistic, expensive and hidebound. In most cases, the geographical information issue is looked at in the broader context of “public sector information”, not just by the studies and reports referred to in this introduction, but by government departments and bodies including the Office of Public Sector Information (OPSI) and the influential Advisory Panel on Public Sector Information (APPSI). The Geographic Information Panel set up by the government in 2005 and chaired by the Director-General of the Ordnance Survey, is welcome in that it has a specialist focus on this issue. It has not yet published an intended strategy document however, and although it has some industry sector representation, its valuable proximity to the government’s key policy advisers may inhibit the instinct for reform and renewal that some think is necessary to secure a future for the Ordnance Survey brand that is both in its and the public’s best interest. The Institute of Urban Information Seminar is an opportunity to consider some central questions from the point of view of a wider and significant group of stakeholders. If supplying unrefined data at marginal cost delivers greatest benefit to the public and the economy, how can the maintenance and quality of OS data be funded and assured? How important is the future role of the UK’s national mapping agency in assuring the quality, consistency and integrity of information in the emerging world of user-generated information, mash-up data and global consumer information industries? Is there scope for a stakeholder group advising but not led from central government, similar to the Broadband Stakeholder Group, as a mechanism to encourage the flexible development of beneficial models and markets, e.g. through creating high quality universal city base maps as a foundation for the development of public and commercial value-added services? In the face of substantial investment in geographic information systems by global information companies, are the current entrenched positions about Ordnance Survey an obstacle to building the consensus necessary to achieve the greatest public benefit? HM Treasury, Cross Cutting Review of the Knowledge Economy Review of government information, SR 2000: associated documents. The commercial use of public information (CUPI), OFT861, December 2006. The Government Reponse to the Office of fair Trading Study (CUPI), DTI, URN 07/929, June 2007. Oxera Report for OS, “The economic contribution of Ordnance Survey GB”, September 1999. Mayo & Steinberg, “The Power of Information”, Cabinet Office, June 2007. The Government’s Reponse to The Power of Information, Cabinet Office, Cm 7157, June 2007.